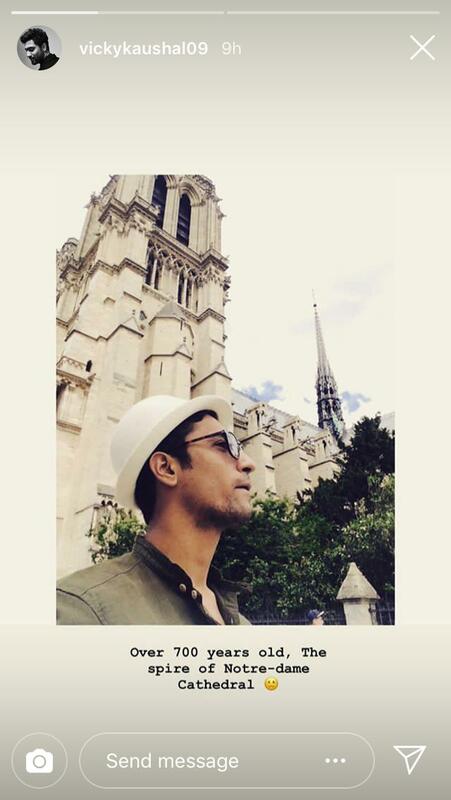 Vicky Kaushal, Raveena Tandon and Riteish Deshmukh are at a loss of words to “express their sadness” after a devastating fire engulfed the Notre Dame, the 850-year-old UNESCO world heritage landmark in Paris on Tuesday. Celebrities lamented the “terrible loss to history” and also shared pictures of the Notre Dame on social media. Maria Goretti is thoroughly upset as well since she reminisced memories of her visit to the Notre Dame during her recent Paris holiday. “This cathedral was a place of exquisite beauty, great history , intricate architecture and immense peace. And I’m heartbroken with the news of its destruction,” she wrote in her post apart from sharing pictures of the Notre Dame. She’s been around for over 800 years not just as a testament of our history but also place for many that found their peace, hope and faith in. This iconic monument is an inspiration to artists across the globe and it’s really sad to know that humanity has lost #NotreDame today. Some 500 firefighters worked to prevent one of the bell towers from collapsing, according to fire chief Jean-Claude Gallet, adding that several invaluable artifacts had also been rescued from the burning cathedral. The fire began at around 6.30 p.m., on Monday and quickly caused the collapse of the Cathedral's spectacular Gothic spire and the destruction of its roof structure, which dated back to the 13th century. The cause of the fire is not yet clear. Officials have said that it could be linked to the renovation work that began after cracks appeared in the stone, sparking fears the structure could become unstable, the BBC reported.